On Friday, Netflix abruptly canceled Iron Fist barely a month after its second season debuted. Iron Fist star Finn Jones has already posted his message to fans of the series, now it’s his co-star’s turn. Jessica Henwick portrayed Colleen Wing on the series, and her role greatly increased over the course of the two season run. Her response to the show’s end wasn’t a lengthy statement. Instead, she shared a one-minute long video on her Instagram account as a thank you to fans. Two seasons of Fist, one Defenders, and a Cage later… thank you to the cast, crew and fans for this journey. Playing Colleen changed my life. — also just posted a full BTS video from season 1 on my link! Is this really the end for Iron Fist and Colleen Wing? While the situation is still in flux, there is a possibility that Iron Fist could get a third season from Disney’s streaming service. Another option is to integrate Danny Rand/Iron Fist and Colleen Wing on other Marvel shows like Luke Cage. While many fans are interested in seeing a Heroes for Hire series starring Luke Cage and Iron Fist, a Daughters of the Dragon series could also be a possibility. Colleen and Misty are close friends and partners in a detective agency in the Marvel Universe. The last two seasons of Iron Fist and Luke Cage have brought Colleen and Misty in the MCU as well. Perhaps Netflix will give Colleen and Misty their own show as well. 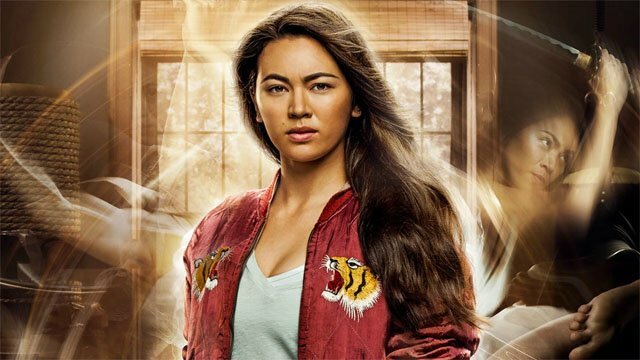 What do you think about Jessica Henwick’s message for Iron Fist fans? Let us know in the comment section below!